The holy month of Ramadan began earlier this week, observed by Muslims worldwide as a month of fasting to commemorate the first revelation of the Quran to Muhammad according to Islamic belief. This annual observance of fasting is based on the visual sightings of the crescent moon and is regarded as one of the Five Pillars of Islam. Locally, the School District of Philadelphia, in conjunction with Mayor Kenney, announced this week that it would formally observe Ramadan as a school holiday. The Philadelphia EID Coalition notes that the new school holidays will not take place until 2018, only pertain to public school students and staff (charter schools are not covered), and the holiday currently does not include City workers. What more info on Ramadan? CNN has a good etiquette guide for non-Muslims. CAIR-Philadelphia has a list of "Sharing Ramadan" events that offer opportunities for people of all faiths to experience the Muslim month of fasting. PhillyVoice has some suggestions on how to support our local Muslim community during Ramadan. 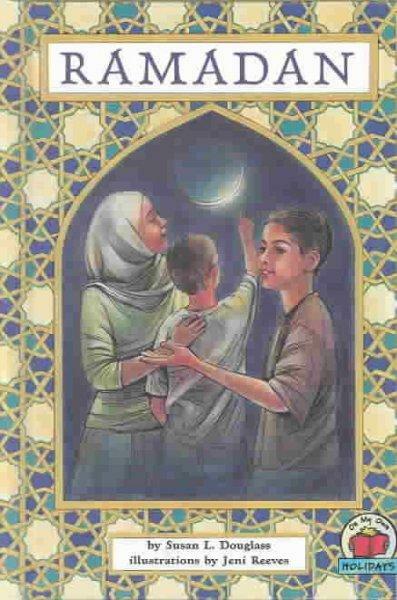 You can also view this Ramadan-themed list of books and DVDs available in our online catalog for all ages and religious faiths. Ramadan by Susan L. Douglass. This book contains an introduction to Islamic observances during the month of Ramadan and the subsequent festival of Eid-al-Fitr.